Better indoor air quality means better health for your tenants. Quality of indoor air can improve when you utilize a ductless heating and cooling systems because it takes advantage of multi-stage filtration which traps and eliminates pollutants, particles and other harmful particulates in the air. Now everyone can breathe easy! You may feel like you have personalized comfort, but with commercial ductless, every single person really can have control over the temperature. Room to room, and space to space, people can be as comfortable as possible thanks to different zones. No more thermostat wars will also save you in wasted energy. Yes, each person really can be as comfortable as possible, but ductless HVAC also offers YOU customizable control of your heating and cooling. Think of it this way: traditional heat pumps and central AC systems force air through the ducts. Ductless systems, on the other hand, deliver air directly to the various zones in your building. They also have inverter-driven compressors, which allows your system to work more optimally than shutting off and on like traditional HVAC compressors. A traditional system can take a bit of time to install in some cases, especially with complex properties. Ductless systems are much simpler to install and some projects can be up in one business day! 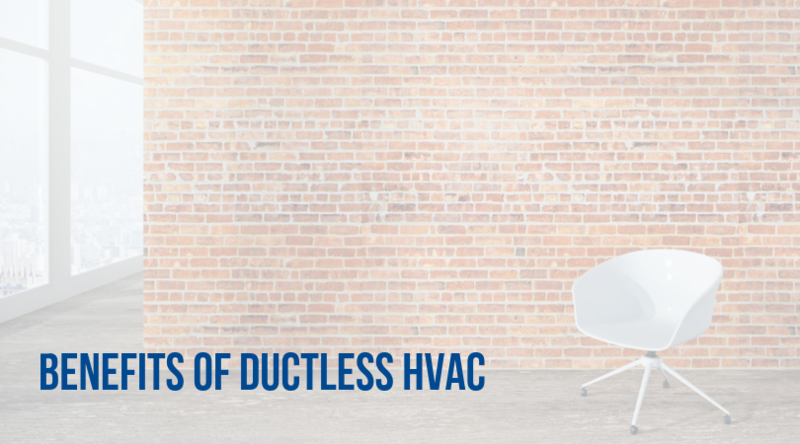 If a typical building loses 25 percent of its energy to ductwork, you can see how ductless can give you a more energy efficiency system. And, let’s face it: one of the top reasons is the amount of money you will save in the short-term and long-term. Thanks to zoning capabilities, you’re in store for greater energy efficiency. Many ductless heating and AC systems also follow ENERGY STAR standards, which means you really are getting a very energy efficient system. Ask us if you’d like to do some calculations to see if ductless is worth it for your building. Contact the Greater Comfort team today at 859-491-4915 to learn more today.